When will be Adı Efsane next episode air date? Is Adı Efsane renewed or cancelled? Where to countdown Adı Efsane air dates? 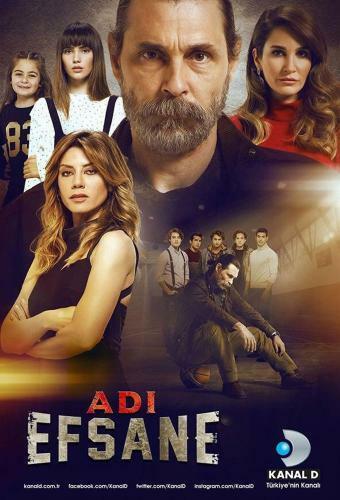 Is Adı Efsane worth watching? At the height of his career, the legendary basketball player Tarık Aksoy, who has been seriously injured, has to leave basketball. Then Tarık, who lost everything he had, lost his last child's custody. When you have lost confidence in the fullest of your life, the last chance you will face is perhaps the way to win your daughters. Adı Efsane next episode air date provides TVMaze for you. EpisoDate.com is your TV show guide to Countdown Adı Efsane Episode Air Dates and to stay in touch with Adı Efsane next episode Air Date and your others favorite TV Shows. Add the shows you like to a "Watchlist" and let the site take it from there.